Our mission is to provide riding lessons and horse experiences to the economically disadvantaged in Ventura County. 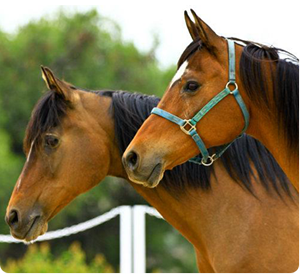 Located on the grounds of the Thousand Oaks YMCA, Stepping Stones Riding Program is currently working with 14 horses. To defray the costs of caring for our horses, we offer classes in horsemanship to individuals to provide them with the joy of riding, benefits of communing with these lovely animals and the skills necessary for their proper care. In addition we host birthday parties and other festive events that include riding as well as offering "camps" where students are given a week long intensified experience. Our general public rates for instruction are significantly lower than community rates thus making our program available to many who normally would be unable to afford lessons. Individuals who have been determined by the YMCA as being financially disadvantaged or who are members of financial/living assistance programs are offered lessons at no cost. Our staff consists primarily of dedicated volunteers who graciously give of their time to help students care for our animals, maintain our grounds and whatever else is necessary. Volunteers are always welcomed and individuals who wish to volunteer may visit our "Volunteers" page. We are also fortunate to receive periodic donations of money and goods to further the program. The Stepping Stones Riding Program (SSRP) operates as a not for profit 501(c)(3) organization with officers. It is dedicated to rescuing otherwise doomed horses and pairing them with disadvantaged individuals to their mutual benefit. Financial information may be obtained from GuideStar.com, an independent non-profit evaluation company.